Amrit Sharma | Product Manager. Entrepreneur. Writer. In case you're wondering why I made this website, well... because sometimes a one-page resume just doesn't cut it. I'm going to try and share my story with you here. We'll talk about my portfolio where I'll give you a behind-the-scenes view into what I've been working on and why. I'll share the accomplishments I'm most proud of, my failures along the way and, of course, my adventures! Amrit Sharma's career kicked off as a Software Engineer at Thomson Reuters, after graduating with a degree in Computer Science. There he worked on technology projects in various roles to build Westlaw Next "the Google for lawyers" help lawyers and law students. In 2014, two roads diverged in the woods and he took the one less travelled. He booked a one-way ticket to Mauritius for an adventure. Over the next three years, he traveled to 10 countries, accidentally became a journalist after a devastating 7.8 magnitude earthquake rocked Nepal, gave presentations and launched many tech products that are all still running today. Although he could point to many professional accomplishments, his biggest success in life came to fruition in October 2017 when he moved to Canada. He's really happy to call the land of maple syrup, poutine and Drake home. 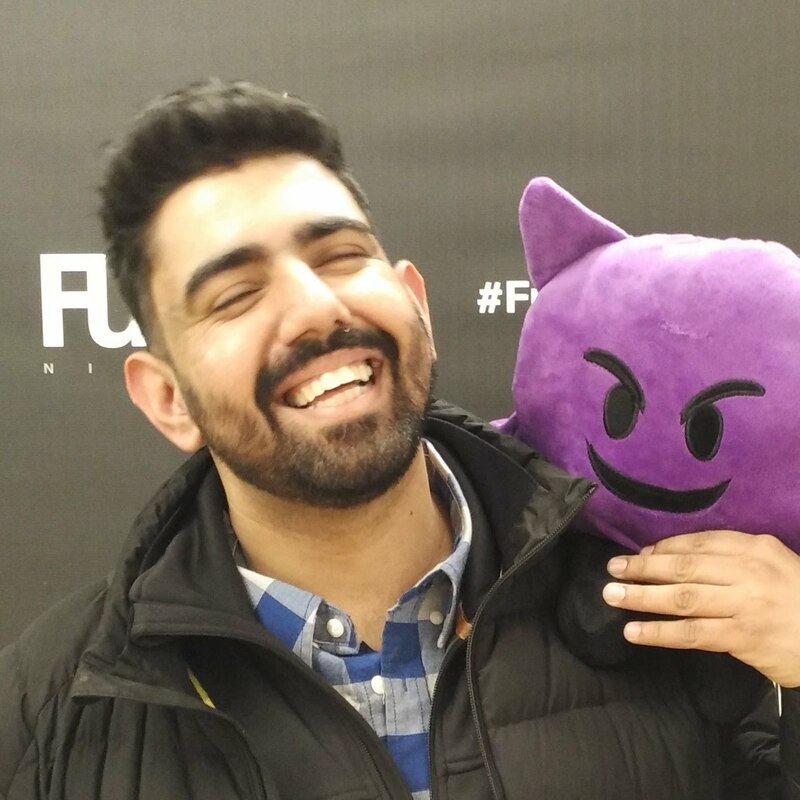 These days Amrit is looking for his next adventure as a Product Manager at a high-growth tech company in Toronto! Writing about technology led me to interview Peter Diamandis, Stefan Sagmeister, Ramez Naam and others. Got invited to the Obama Foundation Town Hall in New Delhi with other young leaders. Joined a mother-daughter team as they fished for octopus in Rodrigues Island, Mauritius. The pilot once said "The ATC has been evacuated. We're in a holding pattern."